Heat a pan on medium heat and add oil. When it is ready, add onions and white spring onions. Sauté for 2 minutes. Add ginger garlic paste and cook till the raw smell goes. It may take another 2 minutes. Add slit green chillies and cabbage. Sauté for a minute and keep covered on low heat for 3 minutes. Add salt, pepper powder, boiled peas, soya sauce, chilli sauced vinegar. Mix thoroughly. Switch off the heat. Mix in the precooked and cooled Kodo Millet. Give a nice mix. Finally sprinkle green spring onions. Keep covered for 5 minutes and serve. 1. 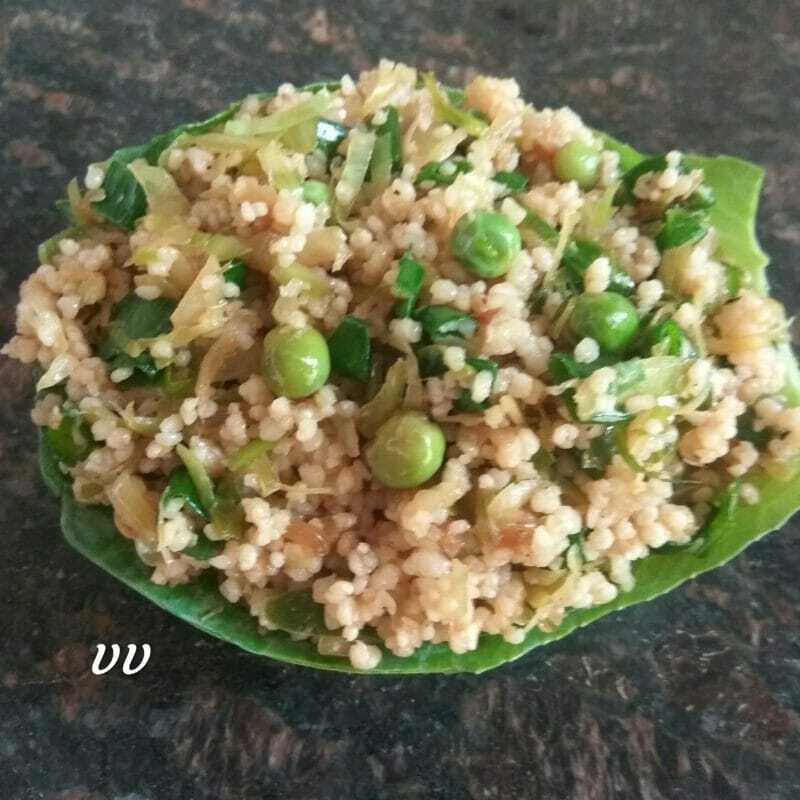 Foxtail/Little/Barnyard/Proso millets can be used for this recipe.